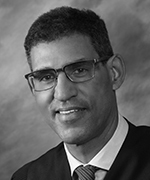 Jon B. Streeter is an Associate Justice of the California Court of Appeal, First District, Division 4. He was appointed to the Court of Appeal in November 2014, and prior to that, was a commercial litigator based in San Francisco. He is a Fellow of the American College of Trial Lawyers, a member of the American Law Institute, and a former President of the State Bar of California. In private practice, Mr. Streeter was a partner at Keker & Van Nest for many years, and before that, with Orrick, Herrington & Sutcliffe. Mr. Streeter earned an A.B. degree from Stanford University in 1978 and a J.D. from Boalt Hall School of Law at U.C. Berkeley in 1981. He is a former law clerk to Senior Judge Harry T. Edwards of the United States Court of Appeals for the District of Columbia Circuit (1982-83).